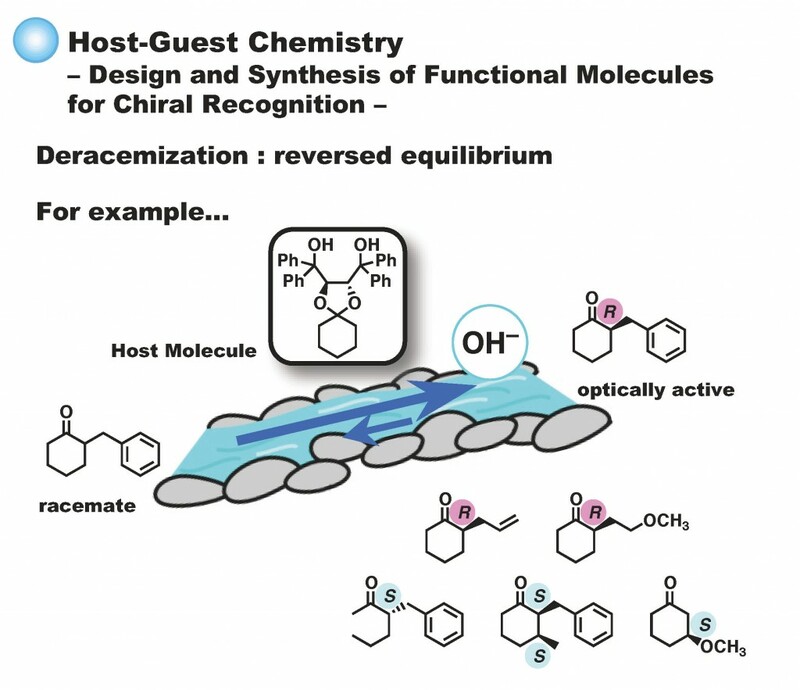 Kaku, H., Imai, T., Kondo, R., Mamba, S., Watanabe, Y., Inai, M., Nishii, T., Horikawa, M., Tsunoda, T. A Method to Prepare Optically Active Acyclic alpha-Benzylketones by Thermodynamically Controlled Deracemization., Eur. J. Org. Chem., 36, 8208-8213 (2013). 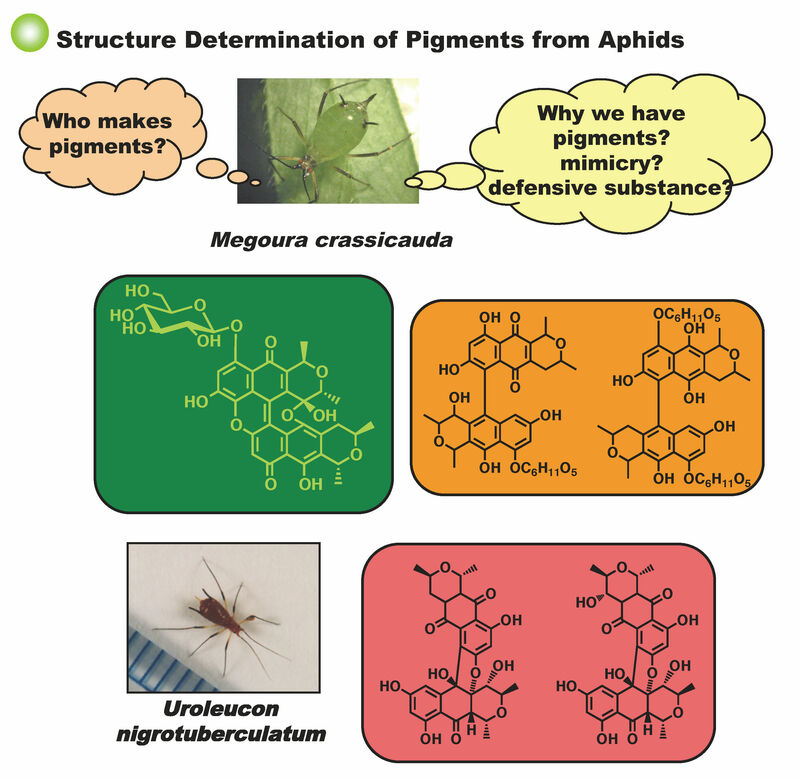 Nishimura, T., Horikawa, M., Yamada, K., Sogabe, A., Nishii, T., Kaku, H., Inai, M., Tanaka, M., Takahashi, S., Tsunoda, T. Xanthouroleuconaphin: a yellowish pigment from the aphid Uroleucon nigrotuberculatum and its total synthesis., Tetrahedron, 69, 1808-1814 (2013). Nishii, T., Ouchi, T., Matsuda, A., Matsubara, Y., Haraguchi, Y., Kawano, T., Kaku, H., Horikawa, M., Tsunoda, T. Modified Marko’s aerobic oxidation of alcohols under atmospheric pressure with air or molecular oxygen at room temperature., Tetrahedron Lett., 53, 5880-5882 (2012). Nishimura, T., Iwata, T., Maegawa, H., Nishii, T., Matsugasako, M., Kaku, H., Horikawa, M., Tsunoda, T. Total Synthesis of Yellowish Aphid Pigment Furanaphin through Fries Rearrangement Assisted with Boron Trifluoride-Acetic Acid Complex., Synlett., 23, 1789-1792 (2012). Horikawa, M.; Kikuchi, D.; IMai, T.; Tanaka, M.; Kaku, H.; Nishii, T.; Inai, M.; Takahashi, S.; Tsunoda, T; Megouraphin Glucoside: Two Yellowish Pigments from the Aphid Megoura crassicauda Mordvilko. Heterocycles, 85, 95-101 (2012). Horikawa, M.; Hoshiyama, T.; Matsuzawa, M.; Shugyo, T.; Tanaka, M.; Suzuki, S.; Sato, M.; Ito, T.; Asakawa, Y.; Kaku, H.; Nishii, T.; Inai, M.; Takahashi, S.; Tsunoda, T; Viridaphin A1 Glucoside, a Green Pigment Possessing Cytotoxicity and Antibacterial Activity from the Aphid Megoura crassicauda Mordvilko., J. Nat. Prod., 74(8), 1812-1816 (2011). 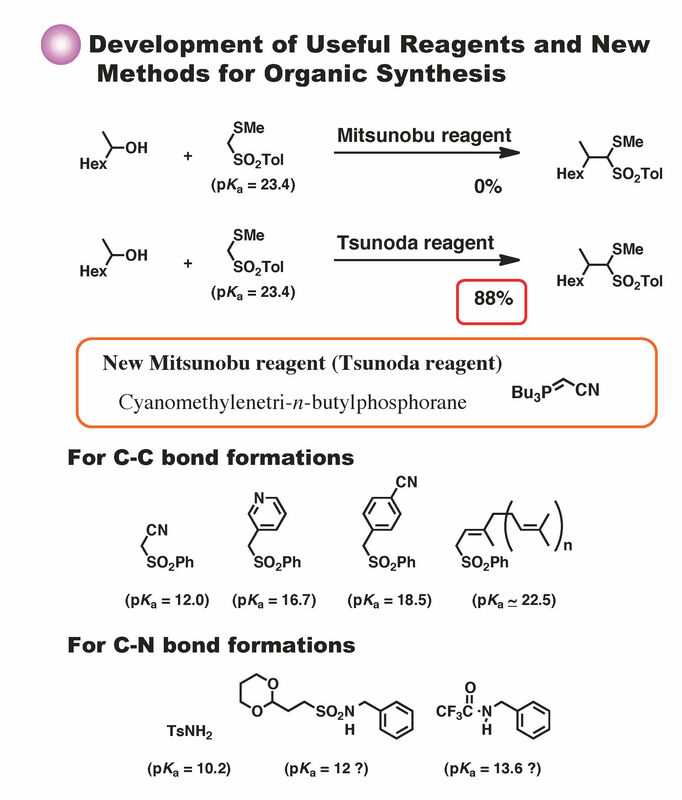 Inai, M.; Nishii, T.; Mukoujima, S.; Esumi, T.; Kaku, H.; Tominaga, K.; Abe, H.; Horikawa, M.; Tsunoda, T; Total Synthesis of (+)-Brefeldin C utilizing aza-Claisen Rearrangement., Synlett., 10, 1459-1461 (2011). 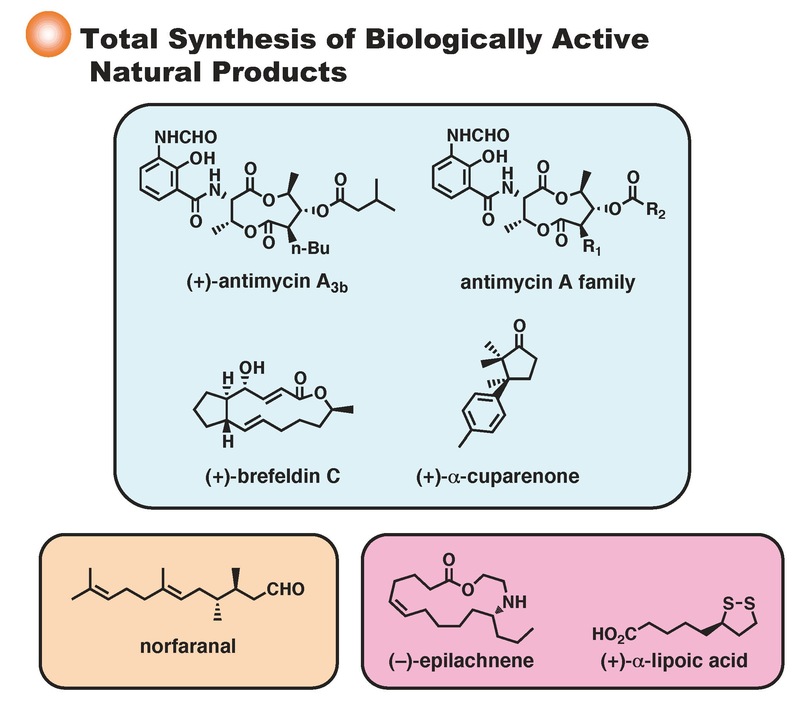 Inai, M.; Nishii, T.; Tanaka, A.: Kaku, H.; Horikawa, M.; Tsunoda, T; Total Synthesis of the (+)-Antimycin A Family., Eur. J. Org. Chem., 14, 2719-2729 (2011).